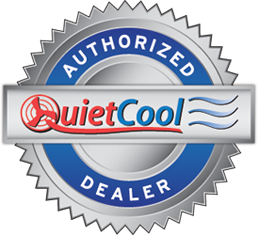 Get reliable heating and cooling in Red Bluff, CA without the ductwork with a ductless heating and cooling system from Mitsubishi Electric Cooling & Heating. Mitsubishi's ductless mini split systems give you the ability to adapt your home to fit your ever-changing needs, transforming from one up to eight rooms at a time into living spaces offering the ultimate in comfort and energy efficiency. When we install a new ductless mini split system for you, our Red Bluff, CA air conditioning technicians make every effort to minimize disruption to your home or your daily routine. Our qualified technicians show up in clean uniforms, use drop cloths, and wear shoe covers to protect floors. We provide installations for a variety of ductless mini splits in Red Bluff, CA. Because these systems are installed as individual units, there's no need to install ductwork. If you have an existing forced air system, and your air ducts are in poor condition, ductless mini splits may be a good option for you if you don't want to replace or seal the ducts. With a ductless mini split, you get an energy efficient way to heat and cool your home, and it also provides zone control. We can help you select how many units to install and where. We also install thermostats that are designed to work with a variety of ductless heat pump models. 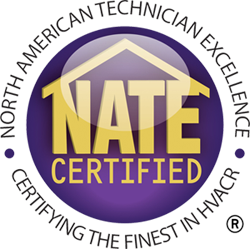 If you are wondering whether it would be better to fix your old ductless mini split system or install a brand new one, give us a call. We will be happy to discuss it with you and give you a recommendation based on your particular situation. We install a variety of ductless mini split models that feature the latest in energy efficient technology. Bickley's will be there from the start to help you choose the ductless system that matches your needs.